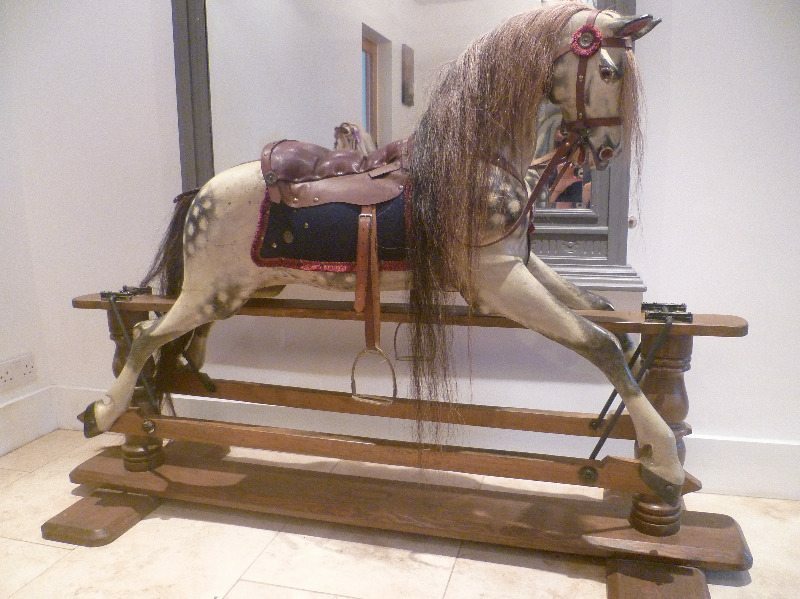 Portia is a lovely example of a Leach Rocking Horse with much orginality. Homed in Norfolk she is a superb example of the talent of Paul Leach. Although not for sale she can be viewed at rockinghorseheaven.com in Norfolk by appointment. Paul Leach horses are really fine and well proportioned, finely carved and very have expressive faces which tend to have more the look of a real horse than other rocking horses. Paul Leach from what I can gather started in London in about the 1850's. This was a family business and there were 2 Paul Leach makers (father and son) and others. The Leach family was in the rocking horse business for just under 50 years Leach rocking horses are varied with different stands ie one of mine has wiggly rails and the other does not, but like all rocking horses styles do change as with Ayres etc. But Leach horses are quite rare and I think many could have been restored as Ayres horses as the differences can at first be quite slight. Some differences to help spot a Leach are elongated heel of hoof and a well defined point to the fetlock giving a distinctive cut out shape behind the pastern. 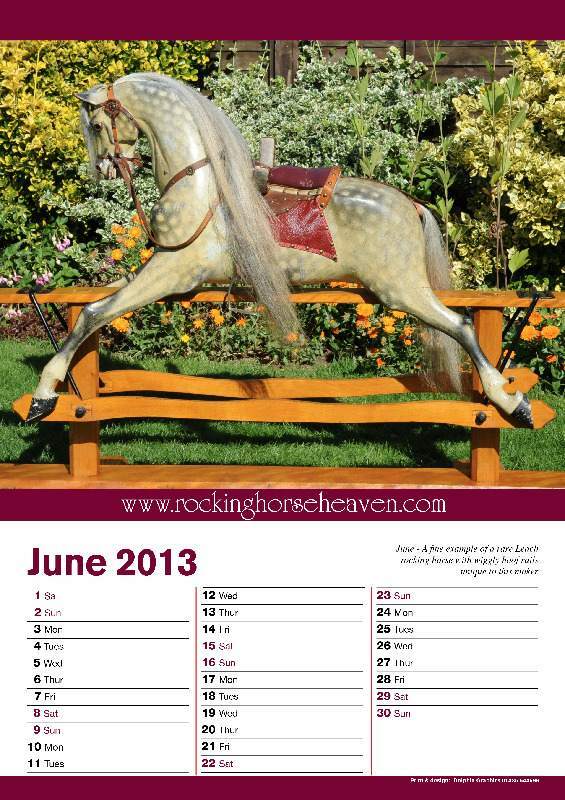 The body to neck-head proportions and sizes are more horse like than other rocking horses. Threaded screw ends and nuts on swing irons and the swing stand horses do seem to be a tad lower on their stands and as I have said on mine one has wiggley rails and one does not. The first photo is a fully restored Leach, the second and third are Leach's with more original paint all are slightly different and the finery of the carving is shown with the Leach next to the plain carved Ayres.